We used to bring reports around the world about the niche cars getting crashed, and all such other stuffs. 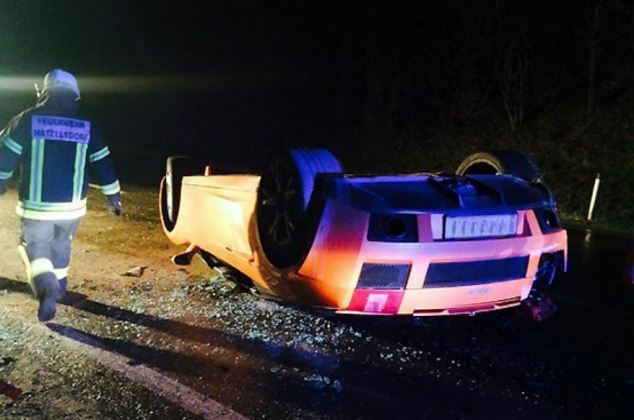 Picking one more of that kind, an Austrian mechanic is reported to have flipped and ruined a customer’s Lamborghini Gallardo Spyder when took out on a test run after repairing it. 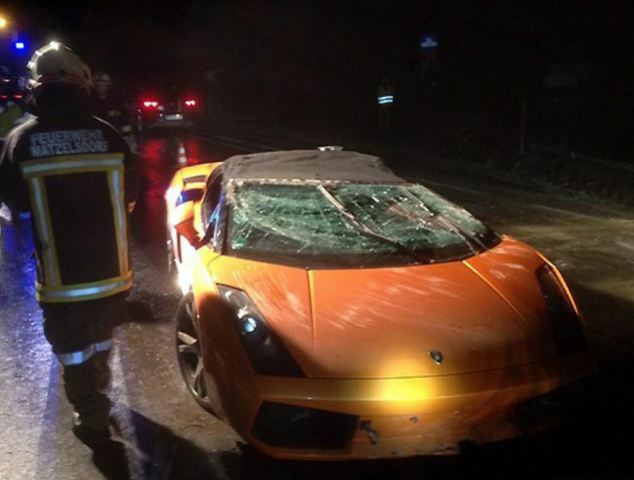 The 29-year-old mechanic Niklas Schwart from Rainbach in Upper Austria is given the Italian supercar for some minute repairs by the owner, which then the mechanic took it out for a spin after his job with one his friends and landed with the car facing the sky. It was reported that the mechanic lost his control over the Raging Bull when he accelerated over the wet roads. 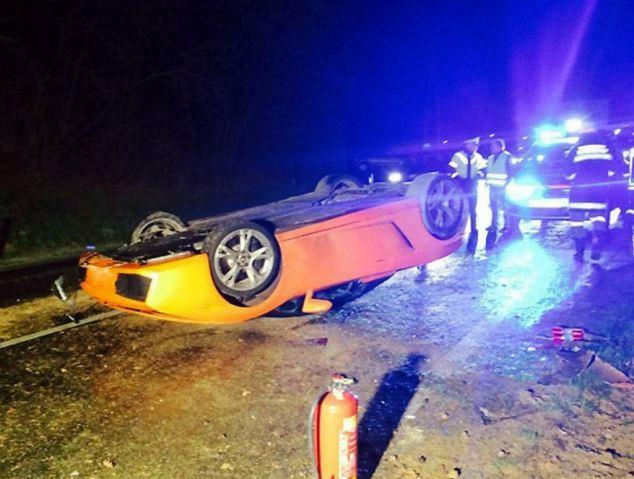 As in detail, the 560 HP (412 kW) convertible shoot a jest of horses from the spot due to excess acceleration, and with the lost control of driver on a wet curve it managed to hit the crash barrier and got flipped upside down. Growling in pain that Lamborghini owner has got nothing to do except than to fumble over his car; but that lucky chap the mechanic escaped without any injuries while his friend faced only minor head injuries. The 24-year-old co-passenger refused to go for the hospitalization, the emergency medical treatment at the accident site made him feel better. Approximately 14 firemen and two fire engines were slotted to bring the car back on wheels, and later on it was ‘towed’ to the destination. Right now there aren’t further reports whether the owner has asked the mechanic to pay the losses or not.